You can tell a lot about the current state of green financing from what visitors to one U.S. Department of Energy website were looking at this winter. Late last year, the Comfort Inn in Gaithersburg, Md., was one of the first properties in the state to finance energy-efficiency upgrades through a PACE loan. You can tell a lot about the current state of green financing from what visitors to one U.S. Department of Energy website were looking at this winter. In January and February, the most popular item on the Better Buildings Initiative website concerned a new tool to help property owners and managers connect with sources of capital for energy efficiency upgrades. But commercial bankers and potential customers may be separated by a communication gap. A 2016 survey by the nonprofit Institute for Market Transformation of commercial banks and community development financial institutions found that 18 of 30 lenders characterized customer interest in energy efficiency financing as “low.” And three other respondents reported no interest at all. “We have not had anyone say, ‘I need a loan because I want to make my building more energy efficient,’” said one banker interviewed by IMT for the survey. “What they do say is, ‘I bought this older building and I want to renovate it.’” Given this apparent lack of customer interest, commercial lenders have done relatively little to incentivize energy performance, according to the IMT. Findings by the American Council for an Energy Efficient Economy (ACEEE) expose additional challenges. 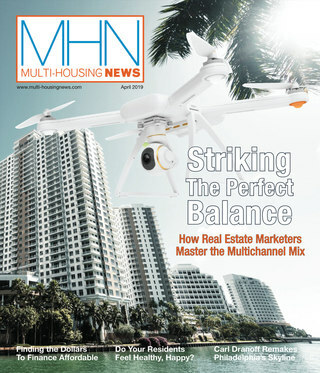 Multifamily financing programs remain unavailable in 13 of the nation’s 51 largest multifamily markets, for instance. Especially scarce are utility financing programs specifically for low-income multifamily properties, which are available in only 15 markets. Some changes are taking place, however, among them stepped up efforts by utilities. According to a study published in February by the ACEEE, they nearly tripled their outlays for multifamily energy upgrades, to $291 million, from 2013 to 2015. In another encouraging development, utilities launched multifamily finance programs in eight new markets. That expanded availability to 38 of the nation’s 51 largest multifamily markets. In addition, the government-sponsored enterprises are encouraging energy financing. Last fall, Fannie Mae and Freddie Mac made enhancements to their green financing programs, providing beneficial terms to owners with green building certifications like LEED, ENERGY STAR and Green Globes, or those that would commit to making energy and water efficiency improvements. The U.S. Federal Housing Administration announced similar changes. Fannie Mae originated $3.6 billion in green financing in 2016, a record for the government-sponsored enterprise. Although the total is just 7 percent of Fannie’s total volume, it represents a huge jump from the 2015 total of $440 million. For its part, Freddie Mac said it provided almost $3.3 billion in Green Advantage loans. At Fannie Mae, the increased loan volume provided the pool for a $1 billion CMBS vehicle backed by 30 green loans. The significance is that “there is enough volume making enough green financing loans to create that security, which means people want to do green,” Pagitsas said. For Fannie Mae loans, the discount can be as little as 8 to 12 basis points or as much as 30 to 34 basis points, according to Vic Clark, managing director & head of Hunt Mortgage Group’s Southwest region. He has originated Fannie Mae loans ranging from $5 million to $50 million, he said, noting that owners are spending about $75,000 in energy or water improvements on average to qualify. Energy audits are required to participate, but Fannie Mae reimburses for the reports. Freddie Mac’s loan kicks in if properties can prove annual water or energy savings of at least 15 percent annually, while Fannie Mae’s requires 20 percent savings. Last year, Partner Energy arranged financing for the owner of a 254-unit multifamily property in Phoenix that had Green Globes certification and was applying for a $32 million loan. With the property’s energy efficiency upgrades, the Fannie Mae discount was 32 basis points, which will cut interest payments by $75,000 per year and $2.3 million over the 30-year term of the loan. Some Partner Energy clients are looking into investing in upgrades before putting their assets on the market. One group weighing a 30-building disposition wanted to make upgrades as a way to attract buyers that were using Fannie, Freddie or HUD/FHA loans. Property Assessed Clean Energy financing is also on the rise. About $335 million in commercial PACE financing has funded nearly 990 commercial projects over six years. More than 30 states and Washington, D.C., have authorized PACE, but only about half have active programs. “One of the nice things about PACE funding is it really allows for a variety of upgrades to be financed,” according to Jessica Bailey, CEO of Greenworks, a two-year-old private financing firm. Lenders fund 100 percent of a project’s upfront cost, which the sponsor then repays through an additional property tax assessment. Many PACE loans go to properties and upgrades of modest size. Late last year, the Comfort Inn in Gaithersburg, Md., along with a nearby five-story medical and retail building, received the state’s first PACE funding for a commercial real estate property. Secured by Greenworks of Darien, Conn., the $1.4 million retrofit includes new LED lighting and HVAC upgrades. “We see more commercial PACE investment opportunities because that market is growing and there are consistently more available geographically,” said Mark Pikus, senior vice president for Inland Green Capital LLC. In 2016, the firm funded nearly 50 PACE bonds, a sizable uptick over the volume in 2015. Forest City Realty Trust has financed about $5 million in projects, mostly energy-efficient retrofits through PACE or on-bill funding provided by utilities or electric suppliers, reported Christopher Rau, the firm’s director of energy and sustainability. Benefits of the program include no upfront capital investment, immediate positive cash flow and the opportunity to pursue a more extensive retrofit. Last year, the company completed its first PACE-funded project, a $2.8 million upgrade of a Southern California retail center that involved installation of LED lighting, a cool roof, new rooftop HVAC units and transformers. PACE-funded upgrades of office and multifamily properties may follow this year, Rau noted. Forest City has also used on-bill funding to pay for upgrades of parking garages in Southern California and New England and energy upgrades in an Ohio office building. Another tool gaining traction is on-bill repayment, reported Matthew Brown, principal at Harcourt, Brown & Carey, a clean-energy finance consulting firm. This differs from on-bill funding because it is provided by a third-party lender rather than a utility. The firm’s new brokerage affiliate, HBC Energy Capital, has struck on-bill repayment agreements with four utilities serving nine states. As some utilities strive to trim costs, financing upgrades through on-bill offers an attractive option, he noted. While on-bill tools and PACE programs are expanding, Brown detects a rise in conventional financing. “We can get an indicative quote within a few hours,” he said. “If the project isn’t too complex, we can close in a few days.” Deals range in value from the thousands to the millions. Despite the indications of a disconnect between commercial banks and owners on green financing, major institutions like Key Bank and US Bank are getting involved in more capital leasing deals, Brown reports. So, too, are private lenders like Ascentium Capital, and SparkFund, a specialist in financing energy-efficiency projects. For customers that are encumbered by mortgages, an off-balance-sheet service agreement works well, Brown noted. “We are seeing a lot of deals like this in the $50,000 to $500,000 range,” he reported. 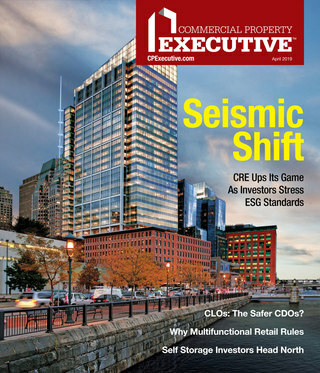 Originally appearing in the April 2017 issue of CPE.